The Rules of Intestacy – What Happens When Someone Dies Without a Will? In a situation when someone dies without a Will, what happens next? Duncan Lyon, head of our Wills & Probate team, shares a story of a particular situation when Intestacy rules were implemented in the absence of a Will. A number of years ago I was approached in connection with the estate of a gentleman who had recently passed away. The individual that instructed me was a distant relative of the deceased who had come from overseas to assist with the administration of the estate. The deceased had no wife or children. What became clear pretty quickly was that the deceased had not made a Will. He therefore left an estate which stood to be distributed in accordance with the rules that apply when an individual has died leaving no Will. These are called the “intestacy rules” and basically set out the order in which relatives can receive a benefit under the estate of a person who has died leaving no Will. In this particular instance, the nearest relatives lived in the North of England and, whilst they were not distant relatives, they had certainly not got what one would call a close relationship with the deceased. They therefore received a windfall from the estate. As it happens, the relative from overseas stood to receive nothing at all under the intestacy rules because he stood lower down the pecking order than the relatives in this country. After a couple of weeks the visiting relative returned home and I thought that that would be the last that I heard from him. I did suggest that I could approach the relatives in this country to see whether or not they would be prepared to at least allow the cost of his air fare to be covered by the estate and that was how we left things. A couple of months later I received a letter from the same gentleman which was, to say the least, somewhat surprising. In it he explained that the deceased had come to him in a dream one night and had told him that if he were to look inside the back cover of the leather-bound diary that he had taken back home with him he would find a Will made by the deceased. Not surprisingly, the Will (which was enclosed with the letter) purported to leave everything to the gentleman from overseas. The trouble was that the Will was written using carbon paper and even the deceased’s signature had clearly been affixed using carbon paper, although an attempt had been made to disguise this by filling in the signature using biro. However, the tell-tale bleed from the carbon paper made it very clear that this was anything but an original signature. The Will had purportedly been executed in the correct way with two witnesses. However, on investigating the matter further, I discovered that neither of the witnesses had been present when the Will was supposedly signed by the deceased. Indeed, one of them, who was the taxi man who took the gentleman from overseas to the airport on his return to his native country, informed me that he had simply been asked to sign a blank Will form and to insert his details alongside his signature. It was very obvious to me that the disgruntled gentleman from abroad, who clearly felt that he should have received a benefit on the death of his relative, had forged the Will (not very well) and had, in doing so, sought to defraud the correct beneficiaries of the estate. I remember writing back to him and explaining that I would struggle to convince the Probate Registry that this was a valid Will and that there were potential difficulties with the witnessing of the Will and that I would therefore not be applying for the Will to be admitted to probate. I never heard anything more from him again. I think that the gentleman concerned knew that he had been rumbled. If there is a moral in this bizarre set of events, I think it is that life would have been very much more straightforward had the deceased made a Will benefitting the persons closest to him (which might actually have included the relative from overseas who had, sadly, blotted his copy book). Intestacy often benefits those who are not deserving over those that are and, had there been a valid Will in place, the problems and the disappointment could have been avoided. A large percentage of the adult population in this country have still not made Wills. There are an awful lot of problems that will be caused when those individuals pass away. Some may not need Wills but others most certainly do and putting off making a Will from one year to the next may eventually give rise to very real problems for those that we leave behind when we die. The principle that one takes from this is that it is far better to make a Will, however straightforward, than to leave to chance and the law the division of one’s estate on death. 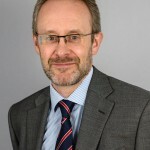 Duncan Lyon is one of our directors and is the head of our Wills & Probate department. Homemade Wills…Are They Worth the Risk?